The latest reviewed version was checked on 9 October 2018. There are 2 pending changes awaiting review. Buddhism originated in northern India in the 5th or 6th century BC. It was founded by a prince named Siddhartha Gautama (The Buddha) of a small kingdom that was evidently in what is now Nepal. He deserted his home and family and devoted himself to austerities and meditation in an effort to understand why the world was full of suffering and how one could find happiness in such a place. He eventually succeeded in his own estimation and began to preach his conclusions to others, and a movement came to form around him which continued to expand after his death. In general, one can say that there are two main varieties of Buddhism. The oldest collection of texts is written in a language called Pali. It is rather consistent internally and is believed to represent the actual teachings of the historical Gautama fairly closely. Simply put, the message is that the cause of suffering is desire. We want things that we cannot have and we suffer. When we do get things that we want, we must worry constantly that they will be taken from us or lost, and we suffer. Above all, we suffer because of the cycle of birth and death. There is one teaching that is called "the eye of truth," the simple fact that everything that has a beginning also has an end. We are born and it is certain that, if we manage to live long enough, we will grow old and feeble and die and we hate this and suffer. The only cure is to learn not to desire things. If you want nothing then you have everything that you want and you can be happy. The Pali Canon of texts makes no promises that accomplishing this is easy. Success essentially requires that you become what people would view as a saint, and not many are ever going to be capable of that. Human nature being what it is this answer to the question of how to end suffering was not considered satisfactory by a great many people. The history of Buddhism over the centuries is essentially the history of providing additional paths that are easier to follow. This expanded view of Buddhism is associated with a second and much more highly varied body of texts written in Sanskrit over a period of several centuries after the completion of the Pali Canon. At one time Buddhism was widespread in India and two of the ancient dynasties flirted with making it the state religion. However, the Hindu religion absorbed much of the philosophy of Buddhism and gradually diminished its scope, and then Buddhism in India was essentially destroyed when Islamic invaders swept through the areas where it was well established. As a movement, early Buddhism took the form of the body of those who strived to follow the path of Gautama and withdrew from ordinary society to seek understanding, and a body of lay people who understood and respected the message but knew themselves to be insufficiently strong to find happiness this way for themselves. They admired and supported those who were trying. Buddhism developed in a society where people widely believed in reincarnation, so the idea emerged that lay people, by supporting the "sangha", the monks, would gain merit leading to an improved next incarnation, ultimately, perhaps, being born with the necessary determination to permit finally attaining enlightenment. A major early element of Buddhist literature is "jataka" stories, tales about previous incarnations of Gautama, showing the series of heroic moral actions that gradually qualified him for rebirth as Gautama, able to find enlightenment. A famous example often painted (including in Japan) is the occasion when he spotted a starving tiger and threw himself off a cliff to provide it with food. If the entire human race were to find the same enlightenment as Gautama then it would quickly cease to exist, for no more children would be born. The original Buddhism was not a cheerful philosophy, and even the happiness of enlightenment might be better called the absence of pain rather than something positive. The later history of Buddhism is mainly made up of people trying to come up with a faster, easier, and perhaps more attractive way to salvation. The results essentially fall into three categories. There is salvation through magic, there is salvation through faith, and there is salvation through good works. Salvation through magic takes such forms as reliance on magical objects, such as a relic of Gautama or some saint, on rituals, on the recitation of magical texts, on pursuing "secret teachings" embedded in complex ways in dense and difficult to read texts or learned directly from a teacher and so on. Salvation through faith turns to reliance on gods or god-like figures who can either aid people to to achieve enlightenment or even give it to them, or, more commonly, permit rebirth into a heaven where conditions are better than here and even weaker people can shut out the distractions of life and progress toward enlightenment. Many people are pessimistic enough to pray to gods who can at least help them avoid rebirth in a hell that is worse than here, and many others will settle for gods who can cure their diseases and slip them an occasional winning lottery number. Salvation through good works is an extension of the idea of gaining merit by supporting monks. It encourages people to simply try to lead moral lives rather than immoral ones and promises that those who succeed will be rewarded upon death and rebirth. It tends to deny the efficacy of ritual and prayer alike. It often finds the donation of significant sums of money to temples to qualify as a highly moral action. In 587 before a life-and-death battle with the rival Mononobe clan, Soga no Imame and his ally Prince Umayado separately vowed to construct Buddhist temples if their side was victorious. Both delivered on their promises. This probably counts as a merging of types, combining the virtuous act of building a temple with the hope of favorable divine intervention. Buddhism became a missionary religion. It was carried from north India into south India, and then beyond to Ceylon and southeast Asia. This wave happened early and it is the Pali Canon and the relatively unreligious (in the usual sense) version of Buddhism that became established there, especially in the modern nations of Sri Lanka, Burma, Thailand, and Cambodia. There was a second wave that started several centuries later that carried Sanskrit Buddhism into Afghanistan first, and from there across much of central Asia and into China. Buddhism then developed in China for some time, developing new doctrines unknown in India, and was transmitted from there into Korea, Japan and Vietnam. The very latest of the missionaries from India carried a quite distinctive final type of Buddhism that became established in Tibet and Mongolia, passed through China without affecting it much but developed extensively in Japan, and somehow also reached Java. Buddhism became particularly firmly established in Japan, more so than it ever did in China, where there were already strong native philosophical and religious systems. There are several important sects that developed in Japan that are unlike forms of Buddhism found elsewhere in the world. Very recently some Japanese Buddhists have also become missionaries, and some Japanese sects have spread widely in the modern world. The most conspicuous are Zen and Nichiren Shoshu. There is evidence that Buddhism was noticed in China as early as the first century BC, but it only became significant after the fourth century AD collapse of the Chin dynasty and the invasion of north China by numerous groups of central Asian barbarians, some of whom were Mahayana Buddhist. Several dynasties with Turkish ruling families devoted much wealth and energy to the propagation of Buddhism and they enjoyed considerable success. The T'ang dynasty had roots in this Turkish influenced north and in at least the first half of the dynasty Buddhism ranked as the primary religion. However, as in India, the native religion of Taoism and the native philosophy of Confucianism adapted and gradually began to squeeze Buddhism into a more subordinate position. However, even after ferocious persecution by the Communists, Buddhism is far from dead in China today. Buddhism began to spread into Korea sometime in the 5th century and into Japan in the 6th century. The first (known) presentation of Buddhism to the Japanese rulers was by King Song of Paekche. The traditional date for this is 538. Song was in fact the first ruler of Paekche to seek to adopt Buddhism as the state religion. He informed his Japanese counterparts that Buddhism was a powerful source of magical protection for the state that would ward off calamaties like epidemics and foreign invasions, expressing the magical aspect of Mahayana Buddhism. This was certainly also important to the Chinese rulers who adopted Buddhism. There can be little doubt that to a large extent the spread of Buddhism in Japan happened because it was Chinese and Japan was in a mode where it was trying desperately to become as Chinese as possible. The situation was not at all unlike a European barbarian ruler converting himself and his people to a very imperfectly understood Christianity in order to establish good relations with the late, Christian, Roman Empire. However, once Buddhism was established in Japan, people began to discover that it was more complicated and interesting than the way it was first presented. There is also the fact that the native religion of Japan did not have a philosophical layer to match Buddhism, nor did it concern itself with the happiness and cosmic fate of the individual. Buddhism had no competition in those areas except in comparatively recent times from Chinese Confucianism. The first active propagators of Buddhism in Japan were Soga no Umako and Prince Umayado (Shotoku Taishi). They built temples and paid for running them and training monks and nuns. It was not until about 50 years later that the first temple was built by an emperor, and it was another two generations after that before the government established two departments of religion, one to supervise Buddhism and the other Shinto. From that point, early in the Nara period, one may fairly say that Buddhism and Shinto jointly functioned as the state religion of Japan. Buddhism was in fact in the superior position from the Nara period into the nineteenth century. However, there was a revival of Shinto starting in the 17th century, and after 1885 Shinto displaced Buddhism as the only religion directly sponsored by the state. That status ended, of course, in 1945, and the two religions are on their own in recent Japan, along with numerous native and imported competitors. Modern Japan has produced an astounding number of "new religions," some nominally Buddhist in origin, some Shinto in origin, and some just plain new. At the time that Buddhism was introduced to Japan the Chinese recognized a considerable number of "sects." This term should not lead to the assumption that these were necessarily popular movements. They were instead more philosophical tendencies or schools that were associated with reverencing certain texts from the Buddhist canon. Many Korean and not a few Chinese monks, and I believe one Cambodian and at least one or two Tibetan monks, came to Japan and settled there, usually bringing texts, and many Japanese were sent to China or Korea to study and when they returned they usually brought texts. Thus early Japanese accounts sometimes report the "establishment" of the same "sect" on three or four separate occasions, meaning that someone brought in texts and started to give lectures on them. Most of these early sects have disappeared in both countries. Probably the most important sect in the early Nara period was Hosso, which still exists in a small way, controlling two of the famous temples of modern Nara, Yakushiji and Kofukuji. It formerly also controlled Horyuji at the site of Shotoku Taishi's palace at Ikaruga and Kiyomizudera in Kyoto, but those two became independent after the Second World War. Hosso is rather typical of the sects of that era in that it was founded in China by a monk who returned from a visit to India with a quantity of texts heretofore unknown in China, which he proceeded to translate into Chinese and expound. It was therefore not truly a popular sect but rather the source of expertise on a collection of Sanskrit texts from India. The principal doctrine associated with the sect is the proposition that the universe which we appear to see about us is an illusion contructed by our minds, which are incapable of perceiving reality as it actually exists. In the light of quantum theory it is difficult to deny that this statement is entirely correct. The importance of Hosso in Japan comes from the fact that it brought to Japan, or trained in Japan, a number of impressive monks who possessed important practical skills in the areas of architecture and engineering. The monk Genbo who aroused the ire of Fujiwara Hirotsugu was the Hosso abbot of Kofukuji. From a devotional point of view Hosso is associated in Japan mainly with the worship of the Bodhisattva Maitreya (Miroku in Japan), "the Buddha of the future" or a messiah figure, who inspired some of the best art of the era (much of which was made in Paekche). The goal of the worshipper was to secure the intervention of Maitreya so that one could be reborn in a heaven where one could wait for the eventual transformation of the universe into a mode where even ordinary people might hope for enlightenment. Hosso eventually faded as a sect, but the sutras which it brought to peoples' attention continued to be studied in many others. A similar sect of importance was Kegon. This was founded when a Hosso abbot invited a Chinese monk to give lectures on the Avatamsaka Sutra. This monk, known as Shinjo in Japan, then settled at Todaiji. The statue of Dainichi Nyorai which Shomu Tenno had constructed at Todaiji represents Vairocana, the central figure in Kegon. Vairocana stands for the doctrine closely related to those of Hosso that the universe is fundamentally empty and what we think we see is illusory. The basic philosophical tendency within Buddhism exemplified by Hosso and Kegon (and associated with the Indian monk Nagarjuna whose name is associated with many Mahayana sutras) is best known in Japan through the two sects that tended to dominate Buddhism during the Heian period, Tendai and Shingon. Both sects were founded by Japanese monks who travelled to China for study early in the 9th century. Tendai was founded by Saicho, postumously given the honorific title of Dengyo Daishi, and Shingon by Kukai, later proclaimed Kobo Daishi. This is as close as Japanese Buddhism comes to identifying saints. Tendai is named after the Chinese T'ien-T'ai. This was a specifically Chinese sect that intended to combine all flavors of Buddhism under one roof and proclaim them all to be different aspects of a single reality, with the Lotus Sutra as the centerpoint. It was the most important sect in T'ang dynasty China. Shingon is in contrast an outgrowth of the same thread of late Indian Buddhism (Mantrayana) that led to the present day Tibetan church, and was obscure in China. Saicho founded the monastery on Mount Hiei northeast of Kyoto named Enryakuji which remained one of the most powerful temples in the country until its destruction by Oda Nobunaga in 1571. The temple was rebuilt, much smaller than before, and is a major tourist attraction. Kukai, on the other hand, eventually became the abbott of Todaiji in Nara and later created the mountaintop monastery at Koyasan, south of Nara, yet another major tourist attraction today. He also presided over Toji, one of the main temples in Kyoto. Unlike Hosso and Kegon, which tended to preach that enlightenment was so difficult that an ordinary person could only hope for a favorable series of rebirths, Tendai and Shingon offer practices within the reach of all that are entended to attain it in one lifetime. It was necessary to become a monk and to practice meditation as well as to participate in various rituals. For this reason it became the fashion in the Heian period for men of a religious turn of mind to become monks late in life after retirement from active participation in secular affairs. Shingon is explicitly "esoteric" in that it presents one layer of doctrine to ordinary believers but also possesses an inner, "secret," doctrine that is only for the initiated. It is not so much that the public doctrine is a lie as that the public doctrine is fitted to what ordinary people are able to understand. Those who spend years studying may become able to comprehend the much more sophisticated secret doctrine. For example, the public is presented statues of a Buddha, Dainichi Nyorai, or Vairocana, for worship, but the esoteric doctrine holds that Vairocana is a symbol representing the entire physical universe. Every item on the complex mandala drawings that are displayed in temples represents some aspect of the universe, but none can be understood without knowing the key to its symbolism. Tendai is also referred to as an esoteric form of Buddhism because it holds that there are five different levels or layers of Buddhist doctrine corresponding to five different levels of comprehension. The very highest level of comprehension enables one to understand the Lotus Sutra. Since Tendai is explicitly eclectic it must inevitably accept the doctrines of Shingon as valid as one aspect of the complex intellectual world of Buddhism. In practice it would seem that most people in Japan who were not monks did not make much of the differences and considered Shingon and Tendai to be essentially the same thing, divided mainly as the result of the fact that Saicho and Kukai did not get along. Buddhism is in its essence a religion of individual striving for understanding rather than a religion that sees its role as acting out age old ritual and standing as a link between man and his gods. All sects of Buddhism vary considerably from teacher to teacher. Every sutra in the collection of sutras has something different to say, every teacher in the collection of teachers has something different to teach. The idea of heresy is almost unknown in Buddhism. Reality is too difficult for any human to understand perfectly. Every doctrine contains errors because humans make errors. This is without doubt the reason why the spread of Buddhism in Japan did not require the extermination of the native religion as the spread of Christianity has required everywhere it goes. From very early Buddhists were willing to accept the Shinto gods as yet one more way of representing reality. Indeed, all of the forms of Buddhism that were transmitted from abroad to Japan had already cheerfully incorporated numerous Hindu dieties into their iconography. Why would they balk at the gods of Shinto? Shinto did not represent a solid basis for resisting Buddhism because Shinto was not a religion of doctrine and was also not a religion of salvation. It is almost exclusively a religion of ritual and the purpose of the rituals was to appease the powers of nature so that they would leave people alone to work out their fates. In other words, the purpose was much more to avoid calamities than it was to secure benefits. Nihon Shoki, in two or three places, tells stories that appear to show that early religious observances did not take place in a permanent location but were performed using temporary facilities that were dismantled afterwards. This is supported by Kofun period archaeology that finds sites where feasts were held in the open air using special pottery objects made for the ceremony and then smashed and dumped. There are several points in Nihon Shoki related to the question of where the sun goddess, Amaterasu Omikami, from whom the ruling clan was descended, ought to be worshipped. At first this happened within the palace of the ruler, but Sujin Tenno is stated to have felt that this was too terrifying and that he wanted the observances moved. The priestesses in charge wandered about from one place to another until some three generations later one wound up at Ise, which became the permanent home. However, when the Buddhists arrived and started building spectacular temples, Shinto responded by beginning to build permanent shrines. When the Fujiwara family provided the funds to build the Kofukuji temple in Nara, they also paid for the construction of the Kasuga Shrine, an easy stroll away. It became common to incorporate references to Shinto dieties in Buddhist temples and vice versa. However, differences remained. In the feudal period a Buddhist monk who wished to make a pilgrimage to a Shinto shrine was obligated to cover up his shaved head by wearing a wig. There were shops near popular shrines where people could buy them. This implies that a lot of monks wanted to visit Shinto shrines. The intellectual freedom that characterizes Buddhism is an adequate explanation for the very large number of sects that have appeared everywhere, not least in Japan. I am not sure of the exact number, but I would venture to guess that there are at least 50 separate and distinct Buddhist sects in Japan. There is very little to prevent a preacher with a new idea from starting a new sect. However, the number of important sects is much smaller, and they can be grouped into families. For Japan before the 20th century, it is the consensus that the important sects are Tendai and Shingon, Amidism, which at first functioned as a part of Tendai in the later Heian period but then emerged as a family of related sects in the medieval period, and Nichiren which was a very peculiarly Japanese development unlike anything elsewhere in the Buddhist world, and Zen, which developed relatively late in China and became very successful among the warrior class of medieval Japan and then again in comparatively recent times. Both the Tendai sect and the Nichiren sect focus on the "Lotus Sutra" or Hokkekyo. This sutra preaches that all men can become Buddhas and ought to aspire to that. The method urged is a combination of good works, featuring charity and tolerance, and coming to understand "the emptiness of all things." As mentioned above, Tendai specifically also recognizes all other writings in the Buddhist Canon and attempts to structure them into a hierarchy of understanding. Nichiren, which will be described later, differs in rejecting all other writings and accepting the Lotus Sutra only. The eclectic character of Tendai explains why the founders of nearly all significant later sects were educated in Tendai monasteries, where any flavor of Buddhist learning could be explored. Many Tendai temples, particularly Enryakuji, housed numerous teachers who favored different texts and taught different doctrines. Enryakuji was like a university with a dozen different departments. Tendai also explicitly worked to incorporate Shinto into the mix. The historical Buddha, known as Shaka in Japanese (from Sakyamuni) represents that aspect of the truth that can be expressed in simple language understandable by all men. Amida (Amitabha) represents a higher level that is associated, within Tendai, with meditation. Vairocana represents the highest level, not understandable at all by mere men, but only by those that have achieved the level of a Buddha themselves. Tendai recognizes four different categories of "paradise," which is to say lands very different from our ordinary world into which men might be reincarnated. One can be achieved by ordinary men. The later specifically Amidist sects focus on this one. The second represents the paradise associated with those who achieve personal enlightenment in the manner taught by the Pali Canon. The third is for monks who have attained enlightenment according to the standards of the Sanskrit Canon and Bodhisattvas (who are essentially the same thing). The fourth is the phase of existence occupied by Vairocana and the very few who have attained the same level, who have themselves become Buddha. As a popular religion it was the Amidist element that attracted the most attention and which inspired a large proportion of the religious art. This offered the possibility that a person of limited ability might qualify for rebirth in a paradise rather than be forced to put in another term in this world, definitely not considered as the best of all possible worlds. Shingon, as mentioned, may easily be treated as hardly distinguishable from Tendai. However, the leading Tendai abbots were all in or near the capital and became powerful men intimately involved with politics. Enryakuji and other temples acquired their own military forces as the organs of the state withered away. In fact, Enryakuji waged war for many generations against another Tendai temple usually known as Miidera that was located only a few miles away, further down the mountain. Their differences were purely political and economic, not doctrinal. Shingon settled on Koyasan, located far away in the mountains and difficult to get to in early times. Today you can drive up the mountain in a car, but it is still a long journey from the urban centers of the Kinai. The esoteric nature of Shingon led to a situation where a monk could find complicated doctrines to study, but the common man could find things adapted to his understanding, such as magical interventions. There were rituals available for almost any purpose. Later religious reformers attacked this as base superstition, but it appeals to ordinary human nature. Shingon was also conspicuous in exerting its influence to protect Shinto shrines. It is rooted in three sutras that appeared in China late (about 725, it seems) and are very Indian. This follows into Shingon which incorporated many Hindu dieties and Sanskrit writing into its iconography. Kukai supposedly studied Sanskrit himself in China and assisted in developing a modified version of the script which is used in Shingon texts. Like Tibetan Buddhism it tends to emphasize hells which the evil will fall into as much as heavens which the virtuous might aspire to. Most images of hells found in Japanese art are of Shingon origin. All Shingon writings fall into the category of the public teaching, by the way. The secret doctrines are taught only orally. This makes them difficult to describe. However, from what I can find out they look quite a lot like Zen teachings. Zen in its pure form teaches that the aspirant is ultimately on his own since nothing significant about how to attain enlightenment or even what enlightenment feels like can be communicated by one person to another. The difference is that the secret doctrine of Shingon does give the monk significant clues which make it easier for him to discover his own path to enlightenment, which is what he must do. Hosso and Kegon taught that most people are utterly incapable of enlightenment no matter how many times they are reincarnated. Shingon and Tendai teach that all contain the essential nature of a Buddha and are capable of releasing it under the right circumstances. Kukai specified 10 different levels of understanding at which people would be found, and taught that improving yourself even one grade was a worthwhile enterprise. He put the teachings of Hosso at grade six, Tendai at grade 8, and Shingon, naturally, at grade 10. Passing through the previous nine stages merely eliminates errors, finally freeing one to understand the truth. It would appear that the final stage is the realization that you are, in fact, Vairocana. Many Tendai temples survive, but it is no longer of significance as a popular religion. However, Shingon is still very visible with something like 3000 temples. It is often reckoned as being the third largest Buddhist sect and the only survivor from ancient times among the important sects. Buddhist temples in general may display one or more of a bewildering variety of Bodhisattvas and Buddhas and other sacred beings. Shingon temples have more of them than any others, including large numbers of Chinese deities. Shingon is also closely associated with the numerous figures of the "myo-o" or heavenly kings, of whom Fudo is most frequently celebrated, represented as a fearsome looking persecutor of demons. A great many temples feature Kannon (Chinese Kuan-yin and Sanskrit Avalokitesvara) which today is almost certainly the central figure in popular worship. Indian statues are male, but the Chinese and Japanese ones are female. Kannon is the goddess of sympathy for those who suffer. The Bodhisattva Jizo is also very common. He also is Indian, Kshitigarbha. He also is a merciful diety with a focus on mercy for the dead. In Japan he has come to be especially associated with dead children. Amidism in Japan represents the mainstream of Buddhism as a religion of faith. Amitabha is a benevolent diety found only in Mahayana Buddhism outside India, including Tendai and Shingon temples in Japan. It is widely suspected that Amitabha is of Iranian origin and represents a sun god. This association is very clear in Amidist iconography in Japan, where Amida is often represented as the setting sun, shining in the face of the worshipper. Amithabha is linked to a theory of the transfer of merit that is rejected by much of Buddhism. If we view the process of gaining enlightenment as something like the accumulation of frequent flyer miles, then it is easy to see that a being that makes it all the way to Buddha-hood might accumulate far more points than were actually needed. Amitabha is willing to share. In Japan, Hosso, Kegon, Tendai, and Shingon all reject the transfer of merit. If you want to become a Buddha you are going to have to do it all by yourself. Tendai and Shingon, however, reverenced Amida but without allowing transfer of merit. Tendai considered that faith in Amida might give a person the confidence to realize some higher level of truth that he might not otherwise have attained. It was used as an aid to achieving the proper frame of mind for successful meditation. During the course of the Heian period the worship of Amida gradually became more and more important and by the late Heian period had become a major focus, especially among people who were not monks. The idea became widespread that devotion to Amida could lead to rebirth in a paradise known as the Pure Land, Jodo, in Japanese. Under the Tendai umbrella devotion to Amida was based on meditation, not prayer. The monk Genshin (942-1017) is usually considered the first who elevated Amidism to the level of a separate teaching and who at least approached the doctrine that the mere prayerful invocation of the name of Amida was sufficient to gain rebirth in the Pure Land. Genshin wrote a popular book and was a noted painter also, but he did not attempt to organize a sect. The first to do this was Ryonin (1072-1132). His sect is called Yuzu Nembutsu and it still exists but has always been small. A much more important pioneer was Honen (1133-1212) who was much impressed by Genshin's book. His goal was the salvation of all through rebirth in Amida's Pure Land through the recitation of the Amidist mantra "namu Amida butsu" referred to as the practice of nembutsu. In Honen's view the recitation of the nembutsu was in fact a magical act that would accomplish the goal even for a sinful man. He began preaching in 1175, and attracted the attention of emperors and aristocrats. He wrote several books and travelled about the country preaching. He did not disparage the older methods of seeking enlightenment or salvation, but said that the world had become so degenerate that it was unlikely that any of them would succeed. The only real hope was rebirth in the Pure Land, where conditions were such that all would be able to pursue enlightenment. The sutra that justifies the nembutsu approach says that 10 repetitions was enough, and Honen acknowledged that one recitation might be enough. However, his followers were encouraged to regard the recitation of the nembutsu as their main work in life, not to be placed second to anything else. I gather that one recitation with the proper mindset would get you in if you happened to die at that moment, but a few moments later your essentially sinful nature might have caused you to lose the focus of true faith and you are back in danger again. You could not recite the nembutsu too many times, and there were often organized sessions in which groups of people worked to achieve some goal of repetition. One million was considered a worthy target. One of the emperors was said to have achieved one million recitations twenty separate times. Honen was attacked on the grounds that if a sinful man could be saved merely by saying the nembutsu, why not lead a life of merry crime and then repent on your deathbed? This was always a sticky point with the sect, but Honen replied that the faith had to be sincere, not a pretense, and that a man who sincerely regretted his sins would not lead a life of crime. Also, he said at times that one who is busy reciting the nembutsu in every spare moment is less likely to get into trouble than most. Honen was unusual in that he managed to provoke persecution by the Tendai sect and by the authorities, something almost unheard of in the Buddhist world. In 1204 Enryakuji hosted a conference which petitioned the Tendai chief abbot to condemn Honen's teachings. Honen responded by publishing an open letter in which he ordered his followers to refrain from disparaging other forms of religion and condemned the theory that those who are saved by faith may therefore practice all manner of sins without worry. Fujiwara Kanezane, the regent, was a close ally of Honen and nothing resulted from that petition. However, in the next year monks of Kofukuji (a Shingon temple) managed to get the government to punish some of Honen's disciples for misbehavior. Again Honen replied, and the nature of his replies make it pretty clear that the issue was one of whether or not Honen's teaching opened the way to excusing immorality. In 1207 the retired emperor Go-toba, the effective ruler of Japan at the time, had a falling out with some of Honen's disciples. The direct objects of his ire were executed and Honen was exiled. Fujiwara Kanezane was able to use his influence to gain Honen a relatively comfortable location for his time of exile. Influential men continued to look out for Honen's interests and advantage was taken of a general pardon issued on the occasion of the dedication of a new temple and Honen's exile was relaxed at the end of the year. He could go anywhere he wanted except back to the capital. Finally in 1211 he was allowed to return to Kyoto, but he died only a few months later. He had many disciples and there is a large Jodo sect today which follows Honen's views exactly. However, one of his disciples, Shinran (1173-1263), created a sect of his own that was spectacularly successful and became and has remained the largest Buddhist movement in Japan by a considerable margin. This is known as Jodo Shinshu or, one might say, Reformed Jodo. Shinran disposed of complexities and second thoughts and proclaimed a doctrine of salvation by faith alone. All magical power associated with the nembutsu is abolished as are all other paths to salvation. He also dispensed completely with the monastic tradition of Buddhism. He married and had children and Jodo Shinshu priests have been married men from the beginning. A Jodo Shinshu temple or church is the private property of the priest or preacher, who lives off of the offerings of his parishioners, much like a protestant preacher in the United States. The biographical traditions about Shinran are confused. He was descended from the aristocracy, was trained as a monk from childhood at Enryakuji, and became a disciple of Honen in 1201. Allegedly, Fujiwara Kanezane discussed with Honen an idea of his that it ought to be possible for a man to serve as a priest and yet lead an ordinary life as a husband and father, and he wished to marry his daughter to such a man. Honen was not shocked by this and recommended Shinran. Shinran took a year to think about, but finally accepted. Shinran and Honen were certainly close and Shinran was exiled in 1207 at the same time as Honen. He was sent north and Honen south. Both were allowed to return to the capital in 1211. Shinran, however, ignored the offer at first and embarked on a long missionary journey in the north among the common people. The particular focus of Shinran's preaching was always with humble people and not with the aristocracy. He is famous for the observation that the fact that a good man can be reborn in the Pure Land means that the chances of a wicked man are even better. The good man is likely to be held back from sincere faith by the consciousness of his own goodness, whereas the wicked man knows that he has only one chance, trust that Amida's vow covers the unworthy as much as the worthy. Shinran spent most of the remainder of his active preaching life in the country and only returned to Kyoto in 1230, conscious of approaching old age. He died shortly before what would have been his ninetieth birthday. Jodo Shinshu flourished in Shinran's day but became somewhat confused after his death. A main temple known as Honganji was constructed in Kyoto, but many rural congregations disliked the idea of being ruled from a main temple and went off in their own direction. The sect was radically transformed by the 8th hereditary head of Honganji, known as Rennyo (1415-1499). He was evidently a dynamic preacher and an effective organizer and he transformed the sect into a powerful organization. In the context of the times, when government was collapsing and chaotic civil wars errupted all over the country, the sect almost inevitably was sucked into politics. Rennyo resisted this, but unsuccessfully. In 1465 monks from Enryakuji, angry at the success of Rennyo in winning converts, raided Honganji and burned it down. Rennyo fled into the countryside, where he found a ready welcome among wealthy farmers. In the chaotic conditions of the day such men were heavily armed. In some places they functioned as low-level samurai in feudal regimes, called jizamurai, country samurai who lived in villages with humbler peasants. In other places where the feudal regimes were non-existent or weak, villages often formed leagues led by these rich peasants. Such leagues were able to raise militias for self defense. In several places such leagues took control of large parts of provinces. Rennyo won many converts among such men and the local Jodo Shinshu priest often held a position of leadership in the village. Where village leagues and the sphere of Jodo Shinshu converts overlapped Rennyo inevitably found himself involved in feudal politics and warfare. He strenuously resisted this, but it was impossible to avoid. His successors decided to go with the flow and Honganji itself eventually became a major political and military power. After leaving Kyoto in 1465 Rennyo settled at a place called Yoshizaki in Echizen province on the Japan Sea coast where he found numerous followers. Yoshizaki became engulfed in local warfare and Rennyo fled in 1471, eventually ending up back in Kyoto where a new Honganji was constructed. However, Rennyo's followers in the area around Yoshizaki responded differently. They formed a league and very quickly succeeded in taking over the entire province of Kaga, just north of the Yoshizaki site. They were able to hold Kaga for approximately a century, defending themselves successfully against strong feudal regimes in Echizen to their south (the Asakura clan) and Echu and Echigo to the north (the Uesugi clan). They had sufficient surplus power that they were able to send troops to Kyoto to help defend Honganji. One alternate name for Jodo Shinshu in this period was Ikkoshu, meaning the "single minded sect" or, perhaps better, "the single path sect" because the reference is that they taught salvation by faith alone ignoring all other means. The armed leagues of Honganji followers are known as Ikko Ikki, Ikko leagues. Kaga was only the biggest of them. There were many others scattered around central Japan, plus other similar leagues that were not associated with Honganji. One of the most powerful of them was actually run out of a Shingon temple at Negoro. A personal note: my doctoral dissertation is about the Kaga Ikko Ikki and Rennyo and particularly his period at Yoshizaki figures largely in it. The Honganji in Kyoto was destroyed a second time as the result of the enmity of another new medieval sect, the Nichiren sect, and it moved to Osaka where a great castle was constructed on the site of the current Osaka castle. The osaka Honganji was a major player in the wars of unification that eventually led to the formation of the Tokugawa Bakufu. Honganji was noted as an early and successful adopter of firearms. All of the various types of Ikki were suppressed in the wars that reunified the country and eventually Osaka was left alone. It withstood a long siege and eventually negotiated a surrender. It was allowed to continue as a religious organization only and surrendered all temporal and military power. In 1602 Tokugawa Ieyasu ordered that the sect split in two (there were no doctrinal differences, merely two organizations) and move back to Kyoto where two new Honganji temples were built, an eastern one and a western one only a short distance apart. They are still there, a short walk from the Kyoto railway station. After 1868 the government attempted to suppress the eastern Honganji, converting it into a memorial for Shinran, as the temple was built on the site of his tomb. There was resistance and confusion and several new sects were spawned, whereas the western Honganji remained stable. The western Honganji remains the largest Buddhist organization in the number of its followers in Japan by a large margin. It is probable that Honganji attained that status in the lifetime of Rennyo and has held it continuously since. The largest Buddhist organization in the United States, the Buddhist Church of America, is part of the western Honganji. Another very important Japanese sect of the same approximate age as the Jodo sects is that founded by the monk Nichiren (1222-1282). As were Honen and Shinran, Nichiren was trained at Enryakuji as a Tendai monk. Nichiren and his followers through the years are conspicuous for the animosity they bear for all other forms of Buddhism. Nichiren once claimed that anyone who says the nembutsu even once will be condemned to a long term in hell. He constantly demanded that the government suppress all other sects of Buddhism, which annoyed people sufficiently that he was exiled twice and came (by his own account) close to execution once. He believed firmly in the concept of a state religion which all must share. It is almost as if a medieval European pope was accidentally reborn on the wrong side of the world. Even today his followers are among the most aggressive of the worlds religions, putting great effort into missionary activities. After 10 years study at Enryakuji Nichiren conceived the idea of reforming Tendai to what he considered to be its pure form in 1253. He proclaimed the absolute authority of the Lotus Sutra Myoho Renge Kyo or Saddharmapundarika and put forth his own mantra to combat the nembutsu, "nam myoho renge kyo". He was so assertive and violent that no monastery would put up with him and he wandered for a time and then set up his own hermitage near Kamakura. He worked mainly as in itinerant outdoor preacher and quickly acquired a reputation. In 1260 he wrote a book expounding his views and presented it to the Hojo Regent, the effective ruler of Japan in those days. The book says that to kill heretics is not murder and demands the extermination of the followers of Honen by the sword. Shinran is not mentioned, perhaps because he was not yet seen as the founder of a distinct sect. In later writings he attacked Zen and Shingon in the same mode. The Hojo regent was shocked by his extremism and members of the religions he attacked destroyed his hermitage. He was quickly arrested and banished to a remote location. However, he was soon released and returned to Kamakura. He refused to compromise, and set out on a series of successful preaching circuits. At the time of the first Mongol invasion he proclaimed that Japan would be destroyed unless it returned to the true religion. Many of his preachings contained violent attacks on named members of the Hojo clan. He was arrested in 1271 and sentenced to banishment. Allegedly his captors decided to execute him instead (a not uncommon eventuality) but he was saved at the last second by divine intervention. He was in fact banished to Sado Island, the Alcatraz of the time, where the worst offenders went (and were not treated well; being sent to Sado was really imprisonment under harsh conditions). He was released again after two years. He had friends, and the government offered to let him set up his own sect if he would only behave civilly towards the others. His response was to leave Kamakura and set up a small hermitage on the slopes of Mt Fuji. It was during this time that he established his first two temples, still the joint headquarters of the sect, at Minobu and Ikegami. He died at Ikegami in 1282. He had six chief disciples all of whom were experienced missionaries, and the sect grew steadily. It continued to be aggressive. It was behind the second destruction of the Kyoto Honganji, and in the 1530's fought a war against the Tendai sect (which it lost). It was just as disputatious internally and divided into many major, mutually antagonsistic, sects. One sect was banned by the Tokugawa government in 1614 for the same reason that the Christians were banned: refusal to tolerate the other sects and refusal to permit its members to obey the government's order that as a mere matter of convenience all Japanese had to register at the nearest Honganji temple to save the government the expense of having to conduct a census and keep marriage and death records. The Nichiren sect is best known today for an entirely modern organization, Nichiren Shoshu Sokagakkai. This is an extremely energetic sect that proseletizes actively all around the world. Nichiren Shoshu, "the true Nichiren sect" was founded by one of Nichiren's disciples in a dispute with others not long after Nichiren's death. It is radically different in that it deposes Sakyamuni, the historical Buddha who is the central figure in the Lotus Sutra, and substitutes Nichiren himself as a savior figure. This sect survived, just barely, down to the end of the Second World War. Two men who had converted to the sect in 1928 formed Sokagakkai, a laymen's association. In typicial Nichiren fashion they got themselves thrown in jail for refusing to pay homage to the Ise Shrine, then required by the military dictatorship. One died in 1944, but the second, after his release, revived the movement and in the new environment after 1945 it (along with many other new movements) enjoyed great, even spectacular success. In 1953 it had 200,000 members and in 1959 4 million members. It is a tightly disciplined authoritarian movement which also formed its own political party. It was famous for a practice called "shaku-buku" which was a form of forced conversion. They would lure an unsuspecting person into a mob of followers who would then attempt to force an acknowledgement of conversion by bullying. I believe that this has been officially renounced. I confess to being rather ignorant of how Sokagakkai has evolved over the last fifty years, my image dates from the 1960's. A woodblock print of Bodhidharma by Yoshitoshi, 1887. The last significant subsection of Japanese Buddhism should be well known to all at least as a name, Zen. It claims descent from a rather mysterious Indian monk who is supposed to have migrated to China named Bodhidharma. He is mysterious because his biography has attracted a vast cloud of clearly mythical material. Many historians think he is imaginary. However, there are thousands of paintings of him. In Japanese he is Daruma, usually presented as a rather scruffy bum, often as a comic figure. It is claimed that Zen was preached in Japan at various times starting in 654, but if this is so it failed to catch on. The real founder in Japan was Eisai (1141-1215), who managed to visit China twice and study there. That was not easy in those days as there was no organized communication between Japan and China. Chinese merchant ships occasionally showed up. Ch'an was all the rage in China at the time and it is no surprise that it attracted his attention. Some claims are made that Eisai also brought back tea. This does not appear to be true, but he made it fashionable and introducted the tea ceremony, always associated with Zen. In China monks often drank tea to help them stay awake for midnight rituals and this eventually acquired ritual elements of its own. Eisai wrote a book about tea, and sought to persuade people that it was better to drink tea than sake. Eisai was a close contemporary of Minamoto no Yoritomo and was on good terms with him and his successors. In 1203 the Shogun Yoriie appointed him to the highest ecclesiastical title at the disposal of the Shogun. He was in Kamakura supervising the construction of a new temple when he died at the age of 75. There are several sects of Zen. The one introduced by Eisai is known as Rinzai. The second main sect of Zen is Soto, which was brought to Japan by Dogen (1200-1253), a disciple of Eisai, who also was able to go to China. Another important early figure was a Chinese monk named Doryu who came to Japan in 1247. He served as abbott in various temples. Soto is the most numerous branch of Zen and has no subdivisions (Rinzai has at least ten). It is the most conventional of the branches in that it avoids extravagance and stresses the need to follow standards of good conduct and morality. Rinzai tends to emphasize the importance of sudden enlightenment and does not consider what preceded it as of much significance. 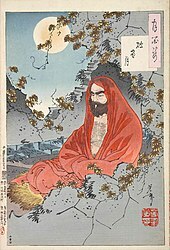 Despite Bodhidharma, it is not clear that there is any connection between Zen and India. There is no known reference to anything like Zen in any Sanskrit source, and when examined in a Chinese context there can be no doubt that it was considerably influenced by philosophical Taoism. Its tendency to reject all scripture and all organized teaching is about as un-Indian as it is possible to be. Zen was immediately attractive to the newly dominant warrior class of 13th century Japan. Its rejection of book learning meant that it could be followed by a busy man with little time for study. Its main requirements on its followers are discipline and determination, virtues that are appreciated by the military. The book by Suzuki Daisetzu Zen and Archery explains this affinity perfectly. Indeed, I have been trying to use a Zen approach to help my golf swing. Don't think too much; empty your mind and let the body do what it knows how to do. During the Hojo period there were five great Zen temples, three in Kamakura and two in Kyoto. Early in the Ashikaga period there were ten, five in each place. Zen was considerably more prominent in the Ashikaga period. The influential prelate Soseki (1271-1346) was able to see to it that a Zen monastery and temple was erected in every province of Japan and also to put the sect as a whole on a sound economic footing. Zen is associated with the best in painting, sculpture, and literature in that period. Unlike the Jodo and Nichiren schools Zen was an essentially aristocratic taste throughout this era. Zen never became a popular religion and during the civil wars it fielded no militias of musket firing peasants. Zen in many ways seems to follow the Hosso sect idea that the universe is simply too complex for humans to understand. Rational explanations will always fail. If someone is to achieve enlightenment it will have to come in some non-rational intuitive way. The early sects all taught meditation as the way to attempt this and Zen follows that path. It also, however, dispenses with the simplified versions of reality, the Cliff Notes that are supposed to give you a hint as to the right direction that the sutras all offer. That is the one single element that runs throughout Zen. If enlightenment comes it will be a surprise and it is just as likely that a teacher can cause it by hitting you in the head as by saying something. Some Zen teachers have implied that it is all accidental: you might be unexpectedly bitten by a rattlesnake, and you might unexpectedly get enlightened. However, most have taught that you have to work at it despite not knowing exactly what you are working for or how you are supposed to do it. A Zen temple looks pretty much like any other Japanese Buddhist temple, down to the statues of Buddas and Bodhisattvas (excluding always Amida). Shaka, Kannon, and Jizo are commonly found. Modern Zen has three main divisions, sometimes counted as separate sects. Rinzai and Soto were present at the founding, Obaku was introduced in the 17th century. There is little if any difference in doctrine. Obaku resulted from the arrival of monks from Fujien who were fleeing the Manchu conquest of Ming China. When reading Chinese they use pronunciations influenced by the Fujien dialect. Otherwise it is considered identical to Rinzai. Soto Zen was counted as the second largest denomination in Japan after Honganji in the period before World War II (Shingon was third). Slowly, through the Tokugawa period and into the 20th century it acquired a substantial lay following. The popularity of the tea ceremony is a marker. The lay followers do not expect to attain enlightenment, but they admire the honesty and freedom from popular superstitions. Charles Eliot thought, and this seems reasonable to me, that Zen practioners tend to believe that what they are trying to do is essentially what Gautama accomplished before Buddhism existed, namely to find enlightenment entirely unaided: the hard way. I think it is fair to say that most Zen teachers would say that success is unlikely, but that the attempt makes you a better person. Lay people are taught that it is most important to confess your sins to the Buddhas, meaning yourself, as no confessor is involved, and practice good conduct, meaning generosity, polite speech, benevolence, following the golden rule, and gratitude. The only real doctrine is that all beings "men, animals, plants, and trees" can become Buddhas. Zen acknowledges no sutras or sacred writings. This page was last edited on 4 January 2019, at 11:07.